This is a Bilum Bag from the West Sepik Province, Papua New Guinea. 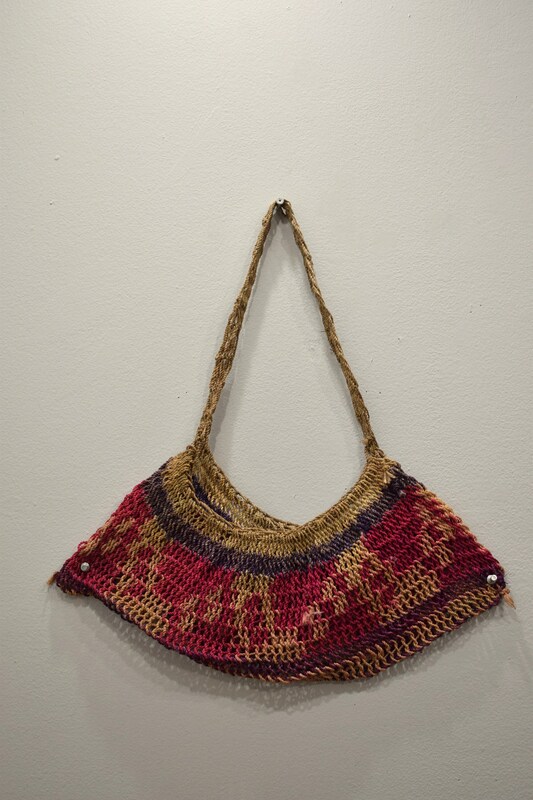 Throughout New Guinea and West Papua string bags are essential companions to men, women, and children, protection, and fertility. The flexible, looped net bags called Bilums are made by women, using hand-spun bark fibers formed into a strong two-ply string. In the many regions, men and women have separate roles in relation to the production and use of the string bag. 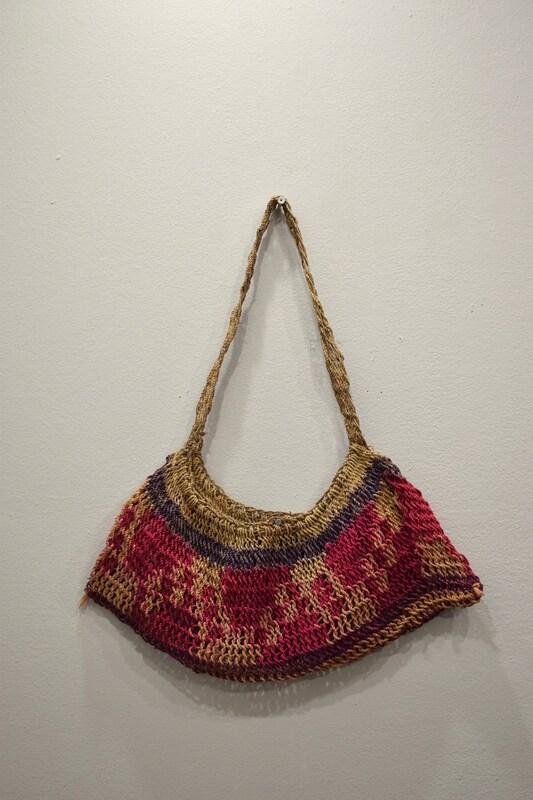 Women hand-spin bark fibers and loop expansive, unadorned bags which they use in their everyday tasks to store and carry produce from their gardens and to cradle their babies. Women’s bags thus become associated with motherhood, nurturing, protection, and fertility. They are worn on the back, with the strap across the top of the head. An empty net bag can be worn over the back and shoulders, like a cloak. These bags are used by both men and women and are made in many different sizes. Some bags have ceremonial significance and may symbolize a person in mourning or a person who is coming of age. How a bag is constructed depends on its purpose, and different looping techniques can indicate the intended use of a bag. They are also given as a Bride Price in initiating a clan marriage. These are old and though collected in the field, are in good condition. Some fading of dye on the bags.